Lovely tapering cylindrical jug with pint, fl. oz and litre measure inside. 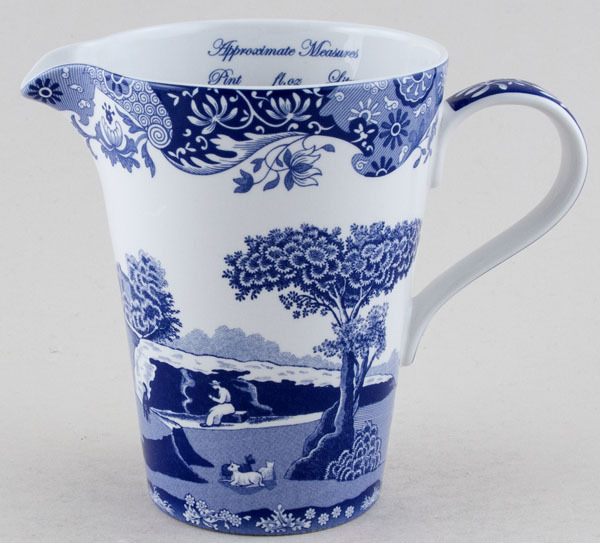 Backstamp: Spode Made in England Italian Spode Design c1816 A7 Dishwasher Safe Microwave Safe. Excellent condition.